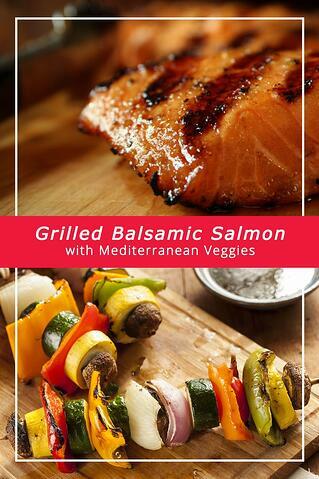 Easy and simple grilled balsamic salmon that will taste like you slaved away for hours to make. Pro Tip: Dried herbs and spices can be substituted, reduce portion by half. 1. 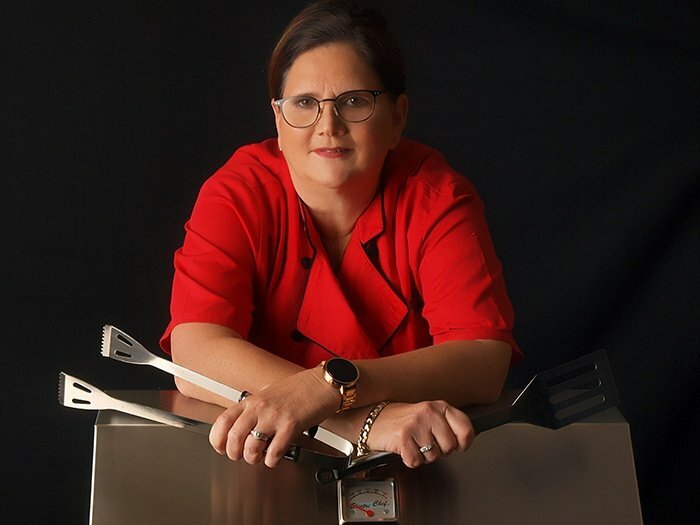 Gather your grilling mise en place*: heat tempered cooking mitt or towel, small clean spray bottle with water, tongs & spatula, olive oil spray mister, non stick spray and your list of ingredients. 2. Remove salmon from packaging and rinse with cold water and place on a paper towel and pat dry. Discard paper towel and set aside so salmon can reach room temperature. 3. Rinse/clean assorted vegetables and cut as shown in ingredients lis t, do not pat dry. 4. Preheat grill to 450°F, once grill is at temperature spray lightly with non-stick spray. 5. Place moistened assorted vegetables on grill surface and spray lightly with olive oil mister. Close the grill lid. Vegetables will begin to steam and then start to brown once moisture is absorbed. Turn once or twice to achieve desired doneness and color, about 10-12 minutes. 6. Lightly dust skin side of salmon portions with flour. Place skin side down on grill surface next to assorted vegetables. Drizzle the two salmon portions with balsamic vinegar and lightly season with salt & pepper. Close the grill lid. 7. Vegetables will be done before salmon, remove from grill and place in a medium bowl and toss with balsamic vinegar & olive oil, add crumbled feta cheese and herbs, toss lightly. 8. Cook salmon portions until the they are slightly opaque in the center and the edges begin to brown slightly, 8-10 minutes depending on desired temperature. Remove from grill and place on platter with grilled vegetables and serve. 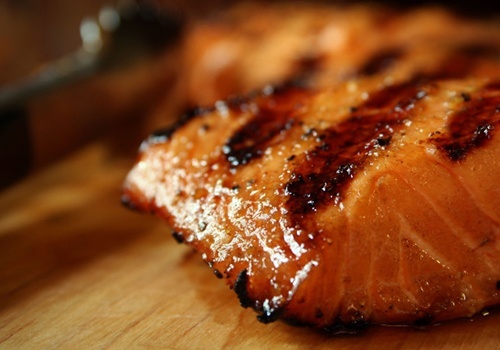 Pro Tip: Balsamic Salmon will continue cooking after removed from grill. Mise en Place [MEEZ ahn plahs]—A French term referring to having all the ingredients necessary for a dish prepared and ready to combine up to the point of cooking. cutting herbs and lettuces into thin strips or shreds, which look a bit like rags. What's Next? Finish off this meal with a nice grilled salad! Don't worry you read that right! 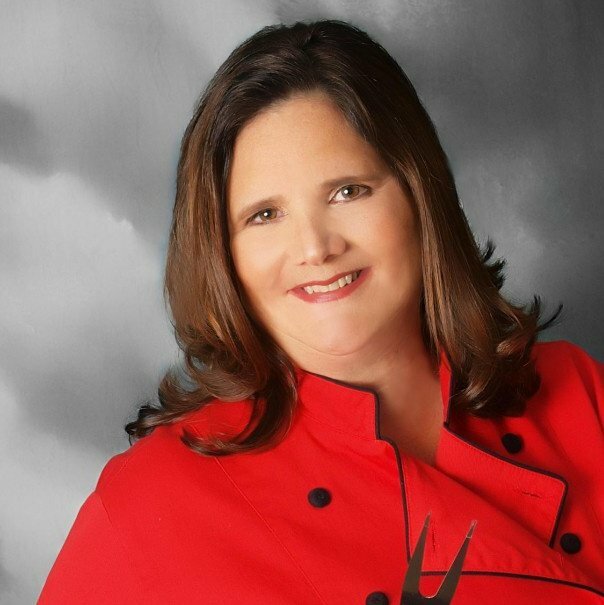 Check out Chef Paulette's recipe right here!